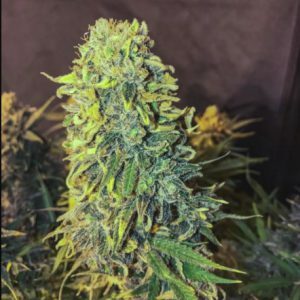 Ice is a medium-sized hybrid cannabis plant producing good yields of between 400 – 500 gr/m2 in a 8 – 10 week flowering period. It is also suitable for growing outdoors although it will probably struggle in higher latitudes such as northern Europe including the UK. 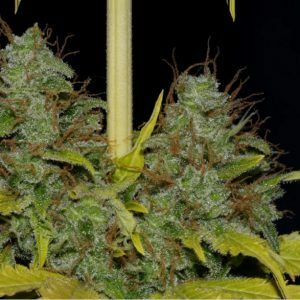 Buds are dense, and highly resinous, and have a high flower to leaf ratio making manicuring a light task. 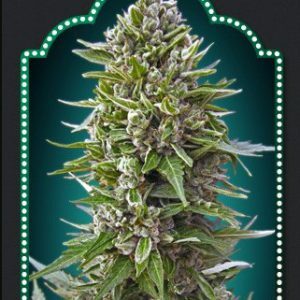 THC production is at the high end of medium, around 15% or so with High levels of CBDin excess of 5%. 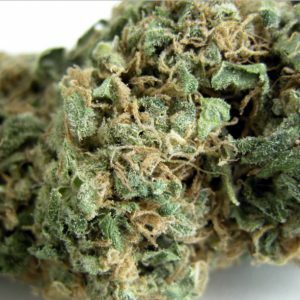 The aroma of Ice is very much like diesel fuel along with earthy, pine and menthol notes. Its effect is very strong and heavy but leaving smokers/vapers feeling happy and relaxed. Therapeutically recommended for treating stress, depression and pain.